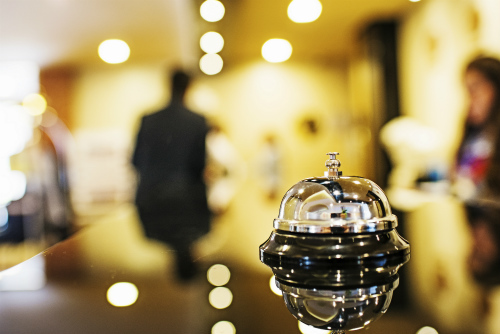 Hotels need to have great customer reviews so that they continue to have their customers returning and telling others about their excellent stay. If a hotel customer thinks that their room, or bathroom, or the hotel itself was not up to cleanliness standards then the hotel will suffer. Hotel complaints range from noisy neighbors to cold room service; the one thing that they should never complain about is the sanitation of their room. Hotel cleaning is one of the few properties of customer satisfaction that is entirely in the control of the hotel cleaning staff and management staff. Selecting the right cleaning service can be the perfect way to increase your guest retention, so why not choose a company that is extremely knowledgeable in both the fields of cleaning and hospitality? Jani-King seeks hotels that wish to establish a partnership. This equally advantageous bond will give any hotel and its guests the top of the line cleaning that they have come to expect from Jani-King. Jani-King’s expertly trained hotel cleaning services have experience in the most effective cleaning practices for maintaining any hotel. Jani-King can be the perfect supplement to any housekeeping system present in the hotel or they can replace the housekeeping crew altogether. Jani-King’s hospitality cleaning division comes complete with professionals who are trained to produce the beautiful results that you will come to expect. The experts at Jani-King also know the importance of complete customer satisfaction, so your guests will always receive the best service possible from the hotel cleaning services at Jani-King. Guests staying at the hotel will originally come for many different reasons, whether it is business or pleasure it doesn’t matter. Whatever reason guests are staying at the hotel, you can be sure that they will be coming back because their stay was such a memorable experience.